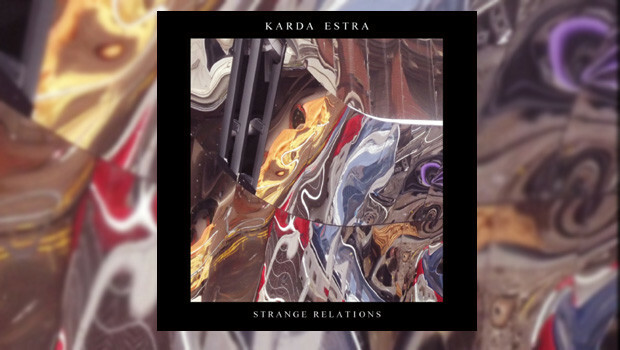 Richard Wileman has been quietly going about releasing quality music under the Karda Estra banner since the late ’90s and Strange Relations is the eleventh album to date. His subtle instrumental mix of jazz, classical and atmospheric rock is a captivating brew for those who have the time to live with it and let it get under your skin. Strange Relations features the six-part title suite plus two separate tracks which could easily have come from another release, possessed as they are with a subtly different feel, but they are in no way lesser pieces. Covering the bulk of the disc, the six phases of Strange Relations spread an eclectic mix of moods to cast a spell over the listener, the predominance of melody ensuring that this is in no way an atonal endurance test. Acting as a kind of symphony it’s too captivating to be background music and in-yer-face enough to ensure the need of the listener to maintain their attention, the finished product being an immensely professional piece of work from an artist who knows what he wants and just how to go about getting the desired results. As instrumental music goes this album, as with others from the Karda Estra catalogue, cuts a very singular path. The instrumentation shows a distinct edge towards the acoustic and this comes through in elegantly organic music that flows over you – and through you if given the time it deserves to work its magic. But magic there undoubtedly is as the pieces slowly evolve and reimagine themselves into new and unexpected environs. This is an album to immerse yourself in, its threads and strands merge, spread out, disappear and morph into new directions without the need to dispense with melody. The composition is of a high quality and the way in which woodwind and brass are woven into the fabric of the rock instrumentation to expand the horizon makes for modern instrumental music built on the works of latter day classical composers and shot through with a love of jazz and experimental rock. 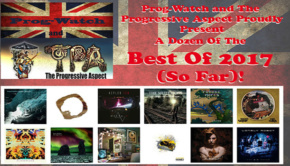 Beautifully recorded and arranged, the unorthodox melodies sometimes creep into Cardiacs territory but with a restrained focus while the warmth of the piano and orchestral instruments lift the music by adding new tones and textures. Strange Relations never becomes an orchestral work but neither is it a rock piece in the traditional sense, the two worlds merging with jazz influences skillfully used to meld the two together. 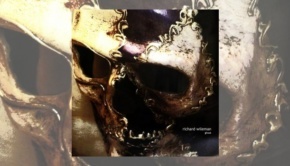 This jazz influence is driven by Wileman’s collaboration here with drummer Paul Sears who co-wrote and performed on the Strange Relations suite. 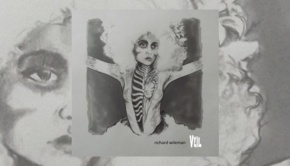 His drums make it all work by adding the drive and jazzy edges that integrate into the creations conjured up by Wileman which are enigmatic beasts with a beauty all their own. Without dwelling too much on an overly detailed description of what it all sounds like, Part 1 is an aggressive opener, the rockiest piece here with jazz and avant garde touches but none of the woodwind or brass that make such an impression later on. Featuring a mesmerizing progression with trumpet akin to incidental music from a James Bond film Part Two is dark with jazzy keys, the contribution of Knifeworld’s Kavus Torabi evident. Skittering drums and a jazzy vibe with keys and twinkling percussion take precedence in Part 3, taking a darker turn with edgy bass and zither. There is an urgency from the drums and a sense of danger that resolves itself with a positive guitar riff at the end. Part 4 is lighter, a floating feel from the airiness of the arrangement with piano at the core, stabs of brass and dissonant piano adding new textures. Clarinet, sax, oboe and cor anglais make their presence felt before fading steadily to nothing as the quirky experimentalism of Part 5 emerges. The only track of the suite to feature vocals, the choral arrangement is impressive. Sinister riffs emerge to collapse amongst busy drums, echo used to good effect to colour the instrumentation. The use of the vocals and drums gives it a Magma edge, windswept sighing building in intensity towards the end – something strange is happening – and from semi-chaos Part 6 rationalises the situation with a sinister foreboding. Each movement develops the piece in a new direction and this is grown up music for adults who aren’t overly taken in by the rigidity of the classical world or the complete freedom of jazz. There’s structure here but you’re allowed to stray beyond it – with certain limits! The two remaining pieces that lie outside the suite, both written by Wileman alone and leaving out the drums, have their own magical webs to weave. Ylla has a more avant feel with lovely use of clarinet within its sombre mood. The woodwind returns in full flow for the final track, The Wanton Subtlety of Monna Tessa, balancing Wildman’s acoustic guitar and unfolding the theme beautifully into a kind of medieval madrigal. Vocals emerge to give a heavenly sheen before subsiding for a stripped down yet strident melody of guitar, piano and xylophone. When the vocals return it is with a ’60s easy listening smoothness, a la Burt Bacharach, before disappearing down a Tim Smith influenced rabbit hole of wonders. 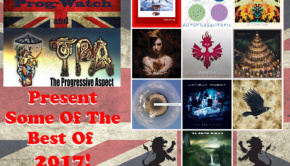 There’s a hint of Steve Hackett in there too. All returns to calmness and orchestral beauty, a pastoral scene but something dark lurks in the shadows. The small fart-like noise at the end is an unusual addition though! Albums of this beauty and depth are rare. No doubt it will be surprising and revealing itself to ardent fans for years to come and hopefully Richard Wileman has now been convinced that his recent brief retirement was an unnecessary blip!